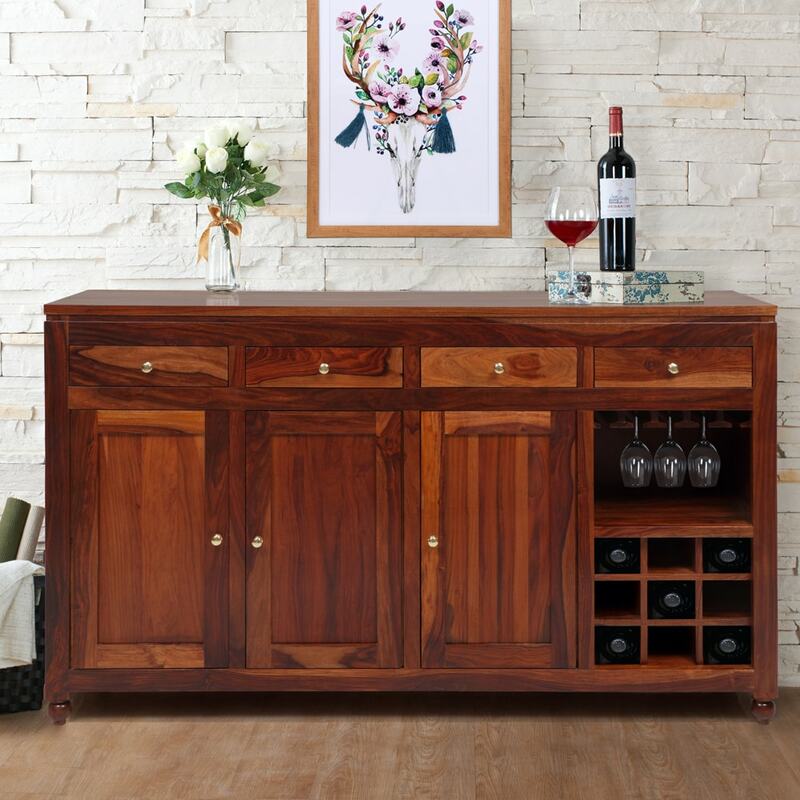 Stately and dignified, the Ashley Solidwood Buffet comes replete with a bar, so that you can delight your guests with light fare and refreshments. The charm of a piece stems largely from the selection of wood, which in this instance is sturdy and robust Sheesham wood. The walnut and wooden tones of Sheesham make the perfect choice for a buffet piece. The four drawers are lined with luxurious velvet, while one drawer has partitions for cutlery. A nine-bottle rack comes complete with a wine holder, so that you can store your wine with élan. You can choose to buy this piece from our online furniture site, or visit any of our 25 furniture stores across India for the best deals in home furniture.